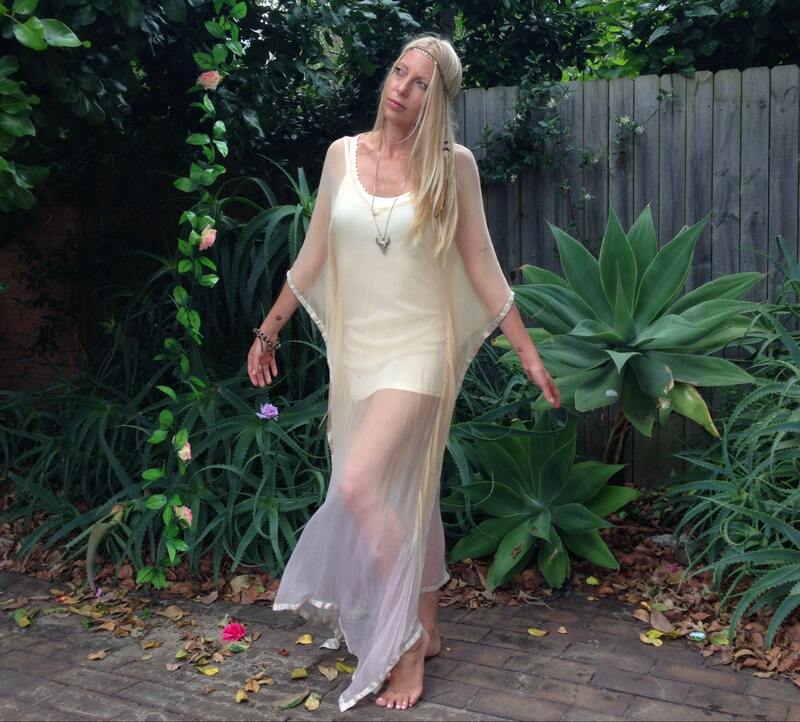 Stardust Silk Beaded Kaftan Dress, This is a one-off Fairtale garment. This design is unique handmade from Soft dye silk beaded chiffon, Vintage lace on the front neck trim, and beautifully Handmade for an evening/ day out. Sustainable Fashion. Hand made in Australia. Free Size is 6-12 custom alterations smaller/shorter available, email for quote. Payment on ordering. Payment plan available for some Bridalwear. No cancellations on Custom Made Orders. Express Shipping option avail 1-4 days. Similar to USA, add a few days for safety. All Custom Bridal orders please allow 6-7 weeks depending on current order Schedule. Express Priority delivery can be selected also, please email me for express options. All Bridal Kaftans are custom made for each Brides measurements and style to their request, therefore non-refundable. Custom orders made to measure avail. Wholesale orders avail, min 5 pieces per order for wholesale prices. Bridalwear making time currently 6-7weeks.